Earlier this morning, Samsung began releasing an over the air software update allowing Galaxy 10.1 users to upgrade to Android 3.2 while also resolving a Wi-Fi connectivity issues some Galaxy 10.1 users experienced following a previous software update. For Galaxy 10.1 users who are experiencing Wi-Fi connectivity issues and are unable to reconnect, the new software update may be downloaded and installed via Samsung's Kies desktop app. Update: It seems that the update is breaking Wi-Fi, auto-rotate, and a few other things. If you haven't downloaded the update yet, I would advise against it until a fix is available. Otherwise, you'll be left with a Wi-Fi tablet and no Wi-Fi. Boo. 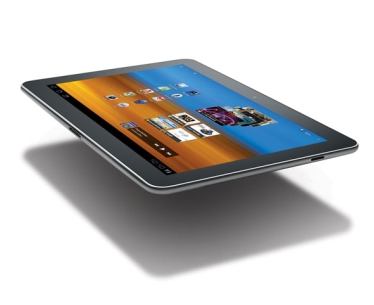 "Samsung is aware of an issue that some Galaxy Tab 10.1 customers have experienced with today’s software update. We are working on a resolution and will provide more information shortly. In the interim we have chosen to discontinue availability of the update." It looks like owners of the the Samsung Galaxy Tab 10.1 Wi-Fi are getting a nice surprise after booting up their Tabs this morning, as the official Android 3.2 update is now available. The update brings a few subtle changes, including the new zoom mode for non-tablet optimized apps, along with a handful of bug fixes and other tweaks. The devs over at XDA have already extracted the update and posted it for download, though a flashable rooted version isn't available just yet. It's probably safe to say that one will land somewhere on the 'net within the next couple of hours, so if you're rooted, just sit tight for a bit. To see if the update is available on your device, head into Settings > About Tablet > Software update and sign-in to your Samsung account. Alternatively, you can grab the download from here and install it through Odin.